You might have started your blog just for fun and have decided that you want to take things to the next level by earning money but don’t know which option to choose or probably you started your blog with the idea of earning money in mind in the first place. Everyone loves earning money through their blog, and if you’re reading this, that includes you. People keep asking everyday how to make money with affiliate marketing, AdSense, direct advertising and others and some don’t know which one to start with. 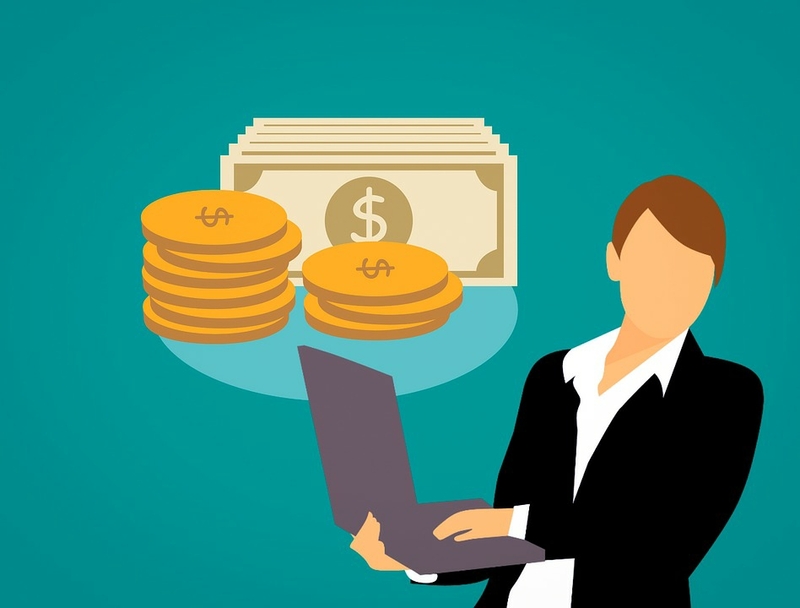 There are several ways a blog owner can make money but you’re likely going to earn more money with affiliate content if done right and done well. You heard me! Here’s more about just what affiliate content is and how you can use it to earn money from your blog. Affiliate content means content that comes from other blogs who partner up with yours – sometimes, but not always, these blogs will be in the same niche as your blog, and you’ll be able to reap the benefits of having access to new readership and new content on your blog. Affiliate content is something that everyone in the process can benefit from. First, you’re partnering up with blogs that have a different readership and can earn you money at the same time. Affiliate content means that these blogs (or sometimes products) will pay you for helping to promote their blogs on your own site which we’re going to assume already has a pretty strong readership by this point. What are now the steps to getting good affiliate earnings? First, you’ll have to find your affiliates. Smetimes, you’ll have to approach them and find out more once your blog has reached a certain level of following, or they might have read your blog, liked it and decided to get in touch with you instead. Decide on an affiliate network you trust, and one where you actually like the blog you’re partnering up with so that you can write the most honest opinion, review or post. Go with someone you like, trust and can work well with. Writing about good service or product that people are already talking about is one of the strategies in how fast you can make money with affiliate marketing since the brand is already having good value and trusted. People will not have to read several other opinions or reviews elsewhere before making decision and following your affiliate links to buy the product or subscribe to the service. Then, you’ll have to make sure that you write an engaging article. This can either be a suggested topic from your end, or this could be a topic that they suggest for you. Make sure that you’re comfortable with what you’re promoting, and take note of the language and keywords you’ll be using. You’ll want to keep people interested, submit comments and ask questions about what you’re promoting. It’s important to research keywords, get the feel of what the searchers want (that’s if you want to get much visitors from search engines) and make your content to suit them while you provide satisfactory answers. Get people to click on the affiliate links, that are usually provided by your affiliate and work this into your article. It’s a whole separate art unto itself. Use catchy anchor text, tell your readers what you’ll get as benefits if possible and tell them what they’ll get for buying through your links. Some big affiliate marketers usually negotiate with affiliate networks to have special offer or discount which can hardly be gotten elsewhere; and this make such affiliate publishers have people engaging more and thereby earning more money. The secret to affiliate market – hell, the secret to any kind of marketing is to get people talking. This is known as word of mouth, but these days it’s better known as click-and-share: Instead of talking, people choose to click on the share button and distribute the content or they choose to move on instead. As a blogger who wants to earn money, you want to get people to share the posts they encounter. You can do this with a reminder to people at the end of your post: If you liked this, share with your friends! Although having your own website is important in affiliate marketing but for a beginner having reasonable followers on social sites like Facebook, Twitter, Instagram etc, you can still start the business without having a website. Learn, get step-by-step guide, try your promotional ideas, tweak it to work better for you. It’s not hard but you need to develop your own marketing strategies and once successful with it, and scale up. Many marketers even run ads and while some succeed with it, some don’t since it requires testing and good budgets. Okay, so the secret to affiliate marketing is getting clicks, and to do this you will have to blend the keywords and links you are given into the article you write. You have to make sure that this makes sense. It does not matter if you’re into pay pay click affiliate program or others, care about both readers who want to read and share the post since they’re human readers just like you and also the search engines, who really only care about the keywords inserted in the post when they index them for searches. To be successful when making money through affiliate content, you have to learn how to do both at the same time. Art, we tell you. How long will it take me from making money in affiliate marketing? It can take few days or months and as well take few years or several years, it’s all about hard work and smart work. Publish good review and be honest, get good readership, promote quality products and promote your contents effectively. It’s never a rocket science! Yeah but you can break out from the circle of average earners in affiliate marketing and join the league of top income earners.